In 1919, inspired by the chance discovery of an unraveled paper lampshade in the trash, Man Ray created Lampshade, one of the earliest manifestations of his obsession with the spiral. Like many of his other objects, this work continued to exist as a concept even after the original was lost, becoming better known through photographic translations and the 1939 painting Le Retour à la raison (Return to Reason). 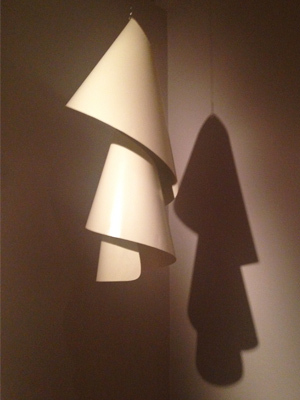 Man Ray made multiple replicas of Lampshade, including one featured in the 1944 exhibition Objects of My Affection.